The Philips AntumbraButton user interface consists of easy to press mechanical buttons that can be customized with text or icons and incorporates the latest in field effect technology. 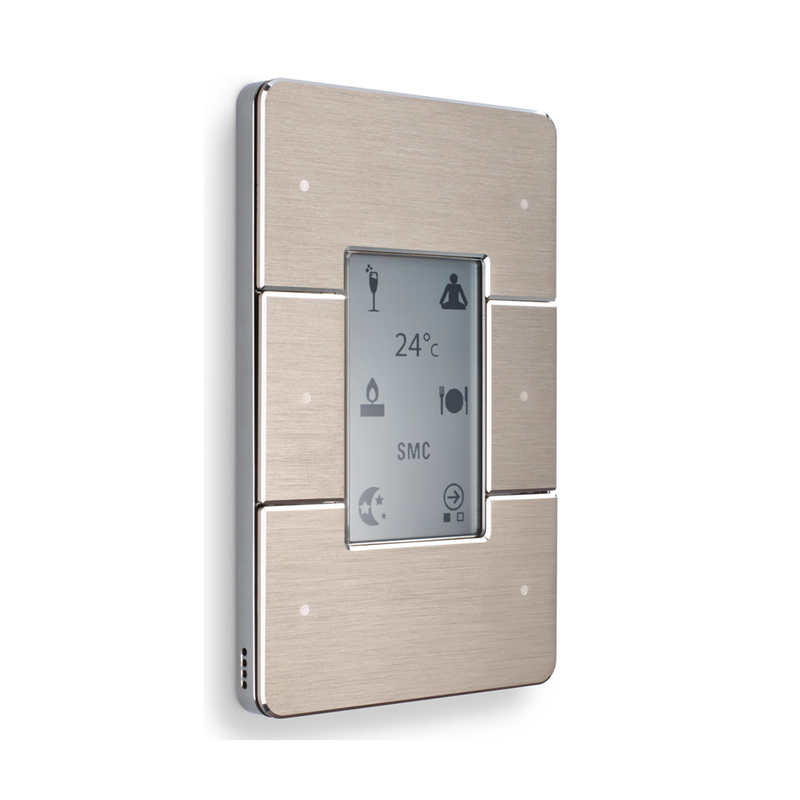 The contemporary design features a number of button configurations, with each button capable of local or site-wide control functions. The PA6BPA range is suitable for, but not limited to North American, South American, Australian and New Zealand markets. Field effect technology – The user interface detects an approaching user and ‘wakes up’, initiating a wall-wash lighting effect to encourage interaction. Supplied as two components – The Application Module contains buttons, rim, base and mounting plate, which can be mixed and matched to suit décor. The Communication Module contains all of the logical and network functions and is pre-programmed off-site, allowing commissioning to commence prior to finish options being finalized. Hidden sensory inputs – An internal light sensor measures ambient light and adjusts lightwash effect accordingly. A built-in temperature sensor automatically adjusts air conditioning when integrated into the system. Multiple language and icon labeling – Button labeling language choices include English, Chinese and Arabic. A library of common icons transcends language barriers, which is particularly useful in hospitality applications. Selection of rim and fascia options – Allows décor matching to suit any environment.